This entry was posted in About Book Blogging, General Book Talk and tagged 40 Day Challenge, Birthday, Boof, Heartbreaking Work of Staggering Genius, lists, Minneapolis, Russian museum, Ukraine, What is the What. Bookmark the permalink. 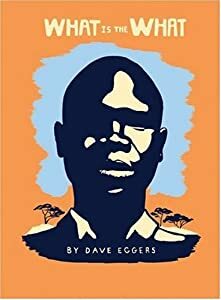 I’ve never read any of Dave Egger’s books. I want to read A Heartbreaking Work of Staggering Genius at some point. I loved a Heartbreaking Work… I bought the paperback and it had footnotes in it, which I thought were just fantastic! I’m just a little geeky that way. It’s such a sad story told in a not sad way. I’m a fan.